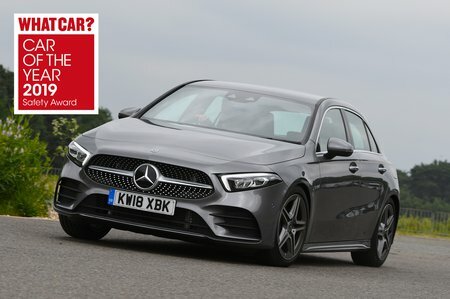 Mercedes A Class A200 AMG Line Premium 5dr Auto 2019 Review | What Car? What Car? will save you at least £2,816, but our approved dealers could save you even more. Classy, good to drive and packed with technology, the Mercedes A Class stands among the best premium-badged options in the family car class. Although the entry-level diesel (A180d) makes the most sense for the majority of A Class buyers, don't discount the A200 petrol and the more powerful A250 petrol. Range-topping AMG Line is tempting, but we'd stick with cheaper Sport trim and spend a few quid on options, instead. Range-topping AMG Line is tempting, but pushes the price into the territory of larger cars such as the Audi A4. For that reason, we’d stick with Sport trim and add the Executive package – and the Premium package if possible as well. This 161bhp 1.3-litre turbo petrol pulls strongly enough at low revs, although you do need to work it quite hard to get the very best from it. Shame it isn't a bit quieter.